3 years ago I decided it’s time for me to leave my VP Mobility role in a large B2B software company and start my own B2C startup - Missbeez. I would like to share with you some of the insights of my journey so far and the key differences between leading a B2B product and a B2C one. One of my biggest pains with my previous product was the time it took from the moment we decided to build something - to the time it was available for our users to use. We developed things pretty quickly, but there were a lot of dependencies between different products that slowed down the releases. In addition, B2B sales deals took very long, and closing a cycle could take a few months or even years. If that's not enough - implementations often started later than planned due to clients constraints (large projects are like that) and took months to finish. Congratulations dear customer! You are finally live with our not so latest and greatest! With my current product Missbeez - we build something today and it can be live in production today. A lot of our logic is placed in the server side - which means that we are able to perform immediate changes, test them internally and release them within hours. As a product manager, it gives the flexibility to try out new things, perform A/B tests, tune the functionality with relatively low risk, and navigate through product decisions quickly and efficiently. Sounds obvious right? The user buys your product. But in most B2B products this is not the case. Instead, the buyer is a senior executive that manages the managers of the users. He’s the mighty decision maker! He wants to see your over-selling roadmap slideware, and it must include all the buzzwords he ever heard about. The buyer (not the user) wants commitments, he wants discounts. He believes he is your most important client and that you are working for him. And he is not the one using your product. You need to juggle between his demands and the users’ needs. Often, there are conflicts between the two, which is a perfect recipe for a failure to achieve users satisfaction or their buy-in. Switching sides to B2C, and suddenly the decision maker is the user himself. He acts differently: he makes emotional decisions and doesn’t care about your technology or roadmap. He only cares about the value your product delivers and is willing to spare no more than 30 seconds of his precious time to see if your product really delivers this value. You’ve got 30 seconds to impress him, demonstrate your strengths and attract him to stay. If you succeed - he may stick around some more. If you fail - you are out, probably for good. 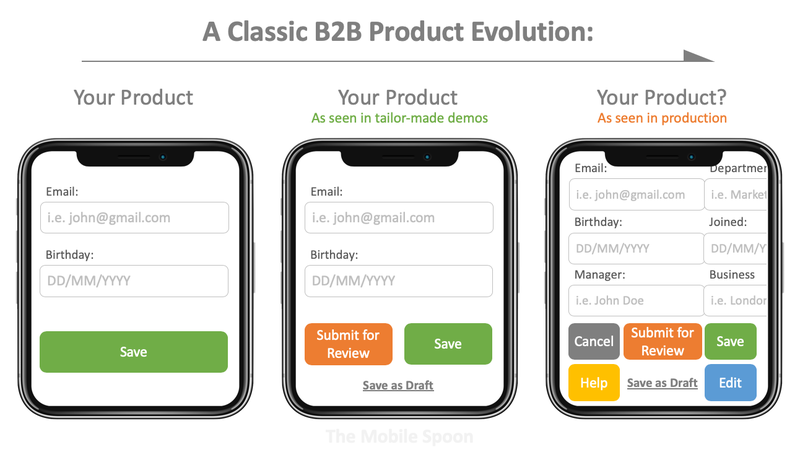 The path to success in both B2B and B2C goes through conversion rate, but while converting B2C users is done by improving the product itself - business buyers can be converted with the help of personal relationships, trust, roadmap and more. 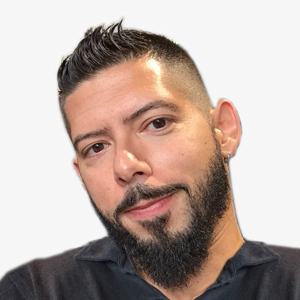 On a personal note: while it is exciting to work directly with your users, I do miss presenting the product vision and roadmap to customers and listening to what they have to say about strategic plans and new directions. For some strange reason, the old TV series “The Prisoner” is stuck in my head ever since I was a young kid. As your B2C product grows, your customers become nothing but numbers. Sure, you need to respect them, understand their pains and work really hard to make them stick around, but you will never get to know them personally the way B2B product managers know their clients. I remember spending hours (even days) with my customers: conference calls, workshops, demo sessions, we had breakfasts together, went out to dinners, and most of that happened before they even became our clients! Strategic customers often took over the product management role and made us change the product roadmap for them. For early-stage B2B products - working with one key customer can lead to having both a product market fit and a first reference, but if this customer does not represent the market - you are in serious trouble. This is not the case for B2C products; you can interview 20, 50, 200 people but once you start collecting data - the numbers should lead your product decisions. 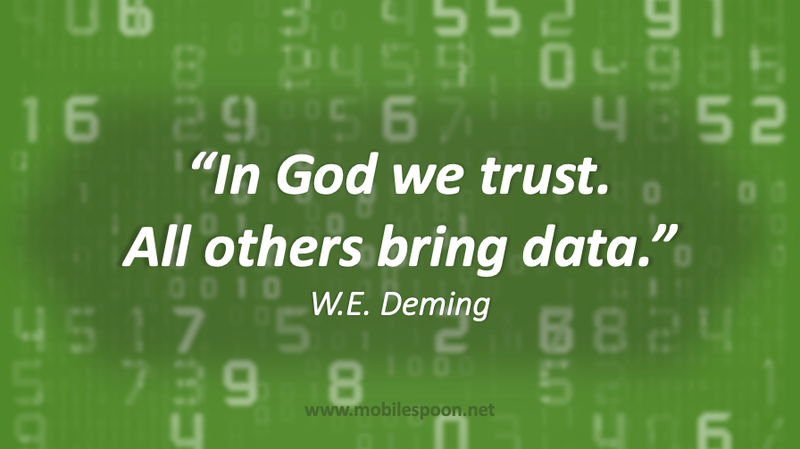 I have countless examples where our data contradicted our customer interview results. In most cases, the numbers were correct and the customers were not. My conclusion is that while users feedback can be powerful and inspiring - it can also be deceiving. I always try to disconnect myself (emotionally speaking) from any subjective feedback or specific customer stories and try to focus on the big picture. I force myself (and everyone else in the company) to back any statement we give with actual numbers. 4. Not a sprint. Not a marathon. Curling. B2B product managers are greedy features collectors. They need features to score higher than the competition and present a superior product. Usability is not their top priority. 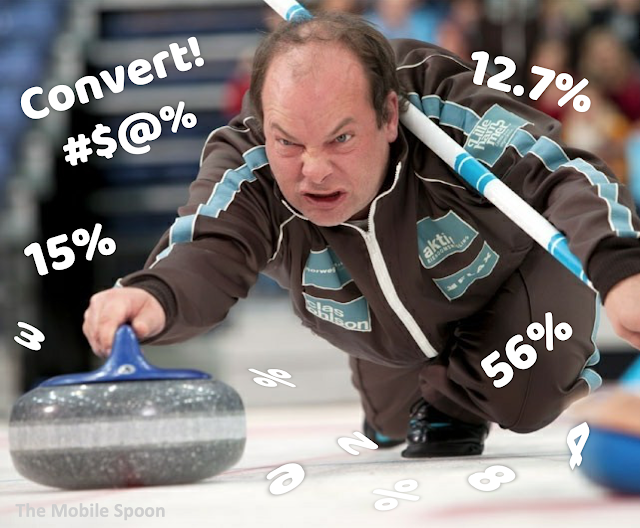 In a B2C product - conversion rate is the name of the game and adding features will not help you improve your conversion rate unless they are perfectly polished. Creating a B2C product is not a sprint, nor a marathon. It's curling. It’s like Curling: the curler throws the stone, and the sweepers use their brooms to alter the path of the stone until it reaches the desired location. 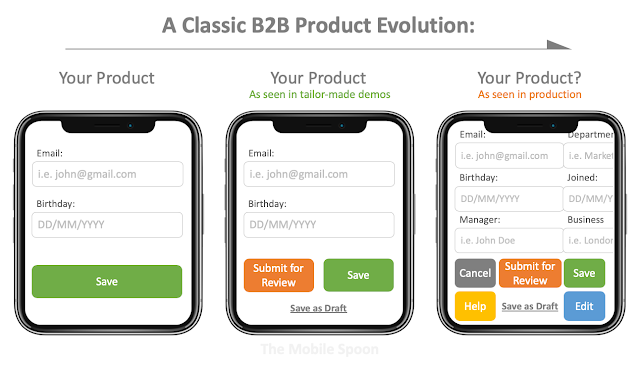 As awkward as this polishing task may seem, the same goes with your B2C product; the polishing process never ends and you often find yourself dealing with the same feature again and again until it’s perfect. You can change the layout, replace the colors, negotiate the texts, shorten the message, change the font size and spend days doing more of the same, but you need to keep in mind that even a 1% increase in your conversion rate can mean a lot to your business revenue and unit economics. “Is it customizable? !#… If it’s not OOTB, can we implement it with customization…! ?# customization…! ?# customization…! ?#” (echo). B2B products solve EVERYTHING through customization. Switching from B2B to B2C, there are no IT guys to challenge your architecture, no professional services to slow you down, no system integrators to mess up with your product, no one to develop poor quality customizations. No excuses, no external forces interfering with your art. It’s between you and your users.